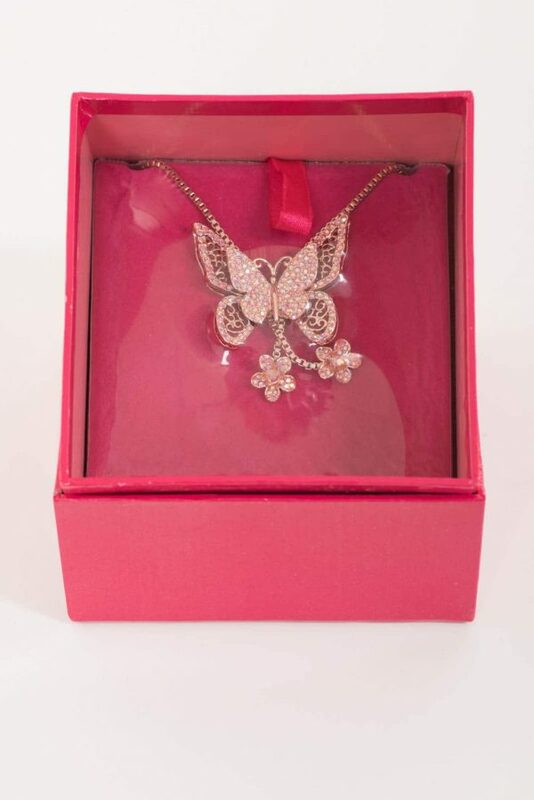 A Butler and Wilson Necklace in the shape of a buttrfly with 2 flowers hanging down from the butterfly. 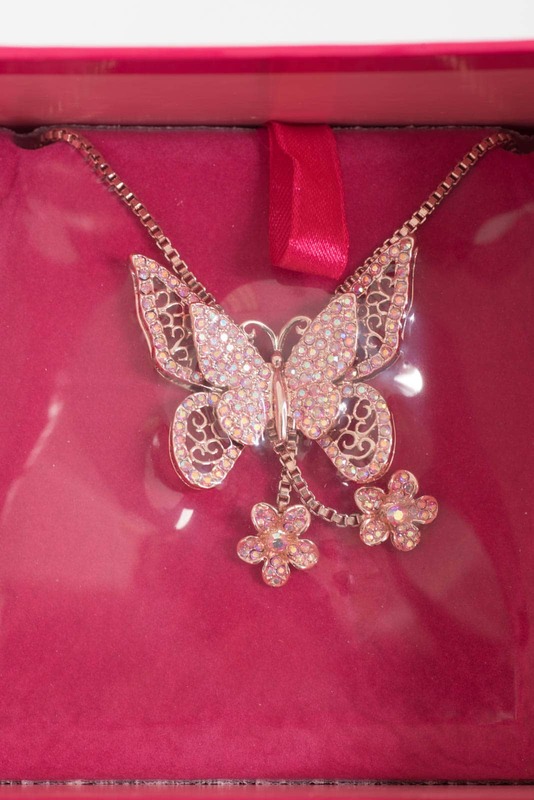 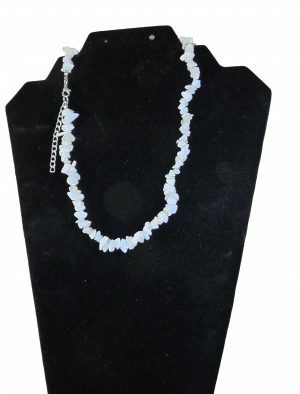 It is on a rose gold chain and the butterfly wings are covered in beads. Still cealed in the pink and gold B&W box.